This original print "Black and Blue" by Mary A. Lainhart is available for purchase in the SHOP. I grew up on a good sized horse ranch in Wyoming. We had mainly papered Paints and Quarter horses. 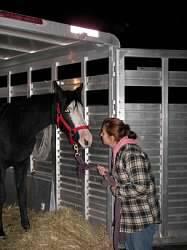 We also had Thoroughbred and Draft type horses in and out of the mix. When I was about a year old, we got our first mustang and the love for them grew. I believe that all horses are equal and all deserve a good life, no matter the breed. You can walk a stunning Fresian or a beautiful mustang by me and I’ll swoon over both. As I already stated, the breed doesn’t matter to me, but neither does the gender or color. I’m the type of person to take the plain sorrel mare that no one wants because I see more than just the superficial outer layer of a horse. Horses are pure and honest. They are truly gifts that are often mistreated and taken for granted. 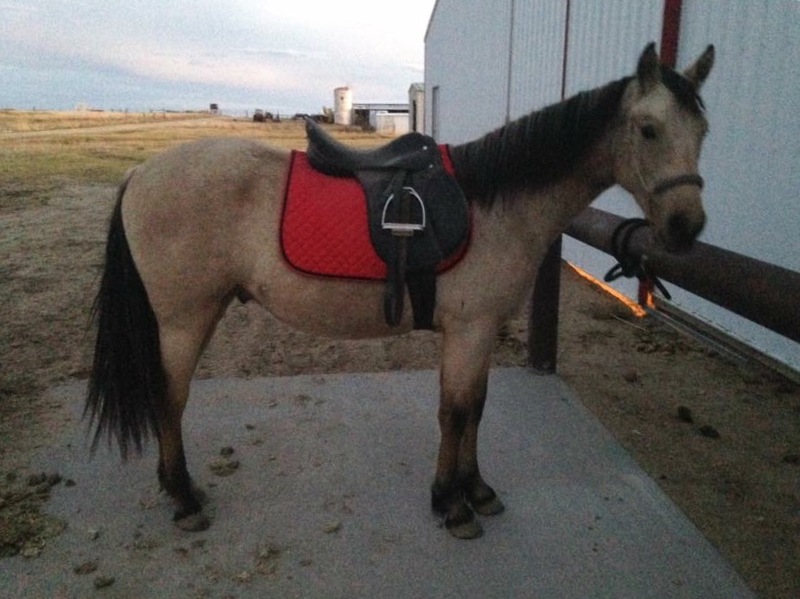 The first mustang my family bought was a strong-minded buckskin mare. She was adopted by another family that was too rough to her. This mare was too special to be forced into submission. She was originally bought for my mother, but this two year old filly that soon became known as, “Sagebrush,” seemed to be draw to my one year-old self. She’d watch me wherever I went and was always very gentle with me. As the years went by, my mother broke her to ride and it became apparent that Sagebrush was mine. This mare reflects me so much it’s almost scary. We have such a similar personality. She is a sharp-minded, tough spirited, wild–hearted mustang. When I look at some horses, they are so human-like with such deep personalities and stories to tell, and that’s what I see in her. 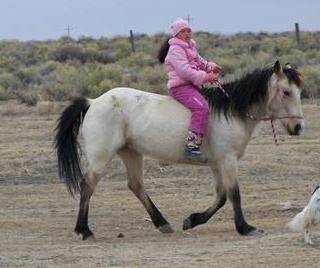 I rode mainly Sagebrush from the time I was in diapers up to a few years ago when I started breaking horses to ride. She always took care of me and accompanied me whether we were chest deep in snow on an elk hunt or at a summer horse show. She isn’t an easy horse to ride and to be able to grow up on a horse that has taught me as much as she did—I am very thankful I had her at my side. As a single soul in an endless amount of spirits, I feel like I can only do so much. However, I’ve found great success in competing in mustang challenges. In 2009, I watched the Impact of the Horse show (learn more about Impact of the Horse in the October Issue) and seeing all the 100 day horses competing really inspired me to want to compete. I was only 9 at the time and I figured I’d have to wait another 9 years to get a shot. In 2013, I got word that Impact was doing a 60 day Youth and Mustang challenge. I signed up and ended up receiving a sparky bay gelding I named, “Wildfire,” that I would end up winning the competition with and keeping. The real reason for wanting to do the mustang competitions was strictly about the mustangs. The prizes, fame, and money didn’t matter to me when I was little and that hasn't changed. 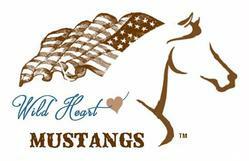 The honest love of horses and more specifically—mustangs—is what I’m here for. Leah and Wildfire, her first Youth and Mustang Challenge horse. Since 2013, I’ve trained five total horses for the Youth and Mustang challenges and I’d like to share a piece of what I learned from each of them. The amazing thing that I can say is that out of the five horses I’ve competed with, I’ve won with all but one of them which makes me feel like I’ve been doing something right with the wonderful horses I’ve been given. The first horse was Wildfire for Impact of the Horse. He taught me perseverance and that with hard work and a visual, I can accomplish my goals. The second yearling I trained was a wild yet talented bay filly I called, “Sunflower,” who was trained for the Utah Wild Horse and Burro Festival in 2014. This filly was so special and talented that I knew going in I had a champion. I had that faith in her, not myself. To me, the horse was the champion and I just helped get them there. During the competition, she got too overwhelmed, which is understandable, and despite my calm energy and support, she just fell apart on me, which made me disappointed only because I felt like I let her down. Again, the prizes didn’t matter to me at all because it was all about the horses. I learned the importance of knowing your horse, preparation, and most of all—humility. She did find a home which reached my original purpose. 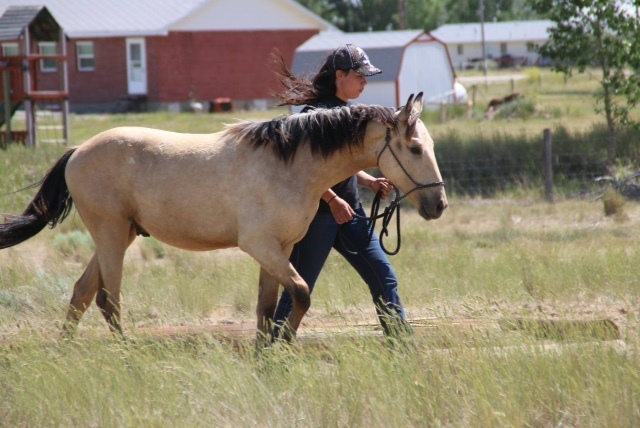 The third mustang I trained in 2015 was a two-year-old sorrel filly with flaxen mane and tail who I called, “Skye.” Skye was for an Extreme Mustang Makeover youth competition in Colorado which was a little different than the rest of the competitions I was in which were 60 day YAMs, (Youth and Mustang). I had about 120 days with Skye and she ended up developing strangles the first month and I also had a minor horse riding accident when a green horse slipped in mud and fell on my foot twice. She needed about a month of rest and it was ironic that my accident happened when it did so we rested and healed together. The competition was stiff and challenging but I had worked hard with Skye to win the honor of first place. I learned about patience with Skye and having faith in myself and my horse. Also in 2015, I trained a wonderful grey gelding yearling for Impact of the Horse. I named him, “Moose,” and he was such a neat gelding. It broke my heart to let him go, but he got an amazing home, I couldn’t pick a better one! The only thing Moose needed was confidence in himself and he was golden. He taught me about developing confidence in a horse which was different than other horses I had worked with, and I’m thankful I was able to learn from him and get him a home. And finally, for 2016’s Utah Wild Horse and Burro Festival, I trained a very challenging buckskin yearling gelding I named, “Sundance.” Before I got to the facility to pick up, the BLM wrangler called to let me know I can switch out if I wanted because he was the most “reactive” of the bunch. While the rest of the yearlings were calm and even approaching the fence to be touched, mine was near seriously injuring himself in the pens and chutes. Though switching out would have been the obvious option if I was only concerned on winning, I looked at him and saw a good horse, but a scared horse as well. To give up on him before even giving him a chance was against my character. I figured that if this gelding is going to get a home, now is his time. If he were to have been cast aside and someone who wasn’t experienced enough were to have adopted him as an older horse, he very likely would have been turned back or had his spirit broken to get to where he could be handled and ridden. All I knew was that in the wrong hands, this gelding wouldn’t have a chance. The first few days, he was very wild, but intelligent and curious. The part that most people didn’t know what happened with him was that the first week or two was the absolute hardest, and here’s why. It was true that Sundance was very reactive to the majority of things. Once a few days went by and he got more comfortable with me, he started to run into me when he spooked and never let me have a bubble. I’ve been good about getting the horses respect and having a personal bubble to work with. This yearling quickly turned from being as far away from me as he could get to nearly running me over constantly. Of course, I needed to get his respect but how was I to do that when he barely lead anyway let alone knew how or when to get out of my space? If he was reacting over something, and I were to attempt to get his attention and get him out of my space, it was useless if he didn’t know what was being asked. He was a frightened horse and “back out of my space” meant nothing to him. This was the part where I was actually glad I got him. If another one of the youth would have drawn him, he would have been turned back. He was too dangerous for the other kids. I knew that if I could just teach him basic movements that would help me move him out of my bubble, then we would be at a much better place. It took a week before I had that. Fear was not the way with this horse. Trying to scare him or getting him to move with harder physical contact wouldn’t be the way with him. Sundance and Leah had such a strong connection, she couldn't let him go. She adopted him back with the high bid of the 2016 Utah Wild Horse and Burro Festival competition of $1,000. For the entire 60 days, I thought that I would have to keep him past the show, at least until he mellowed out, before he would be okay to consider for anyone for the well-being of Sundance and any buyer just to be safe. I worked very hard with him and at the competition, I felt redeemed from 2014’s catastrophe. I won with a very calm and responsive Sundance. Another big compliment to myself and Sundance was that most of the yearlings sold for $25-$350, and my dynamite buckskin got a bid over $1,000, which was nothing like what the others got bids for. I ended up keeping him. It wasn’t for the next buyer once he “mellows out,” because when the show did roll around, he would have been ok to auction. He was my most challenging yearling and possibly the last one I will train for another competition. I feel a connection with him that $1,000 just wasn’t worth losing him. I am currently working with a 100 day mustang for Impact of the Horse 2016! I picked up a four-year-old bay gelding I named, “Malakai.” I will be riding Malakai in an extreme indoor mountain course the 11th of November, and the 12th I will be riding him in a freestyle class and auctioning him to the public after the final placing that day. Malakai is from the Salt Wells HMA. He is very smart and willing! He took to training very nicely and I couldn’t have chosen a better horse for my first 100 day challenge. I can’t wait to see how he does and who ends up with such a great horse. If you are interested in following his progress or my projects, find the Facebook Group “Training Hoofbeats.” If you want to see more about Impact of the Horse, find their Facebook page as well. Impact of the Horse’s main division is about half mustangs and domestic horses and they compete for the top 5 mustangs and top 5 domestics in an indoor extreme mountain trail course. The top 10 will compete in freestyle the following day for final placing. 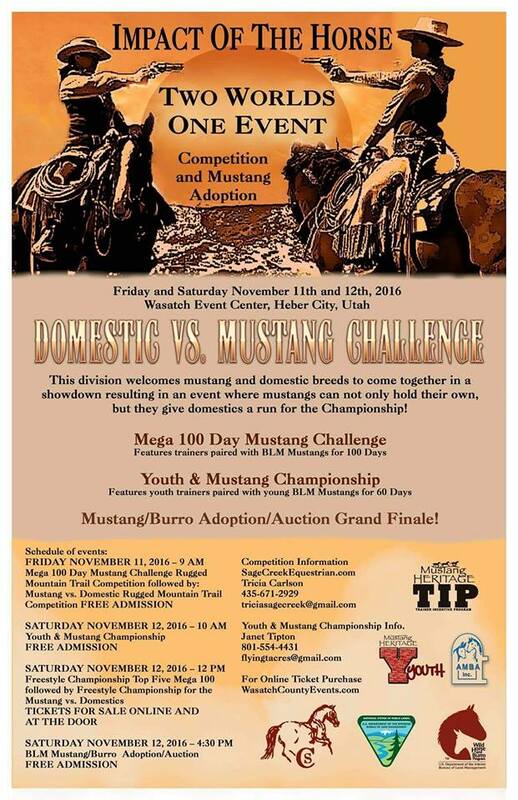 They also have 60 day yearling mustangs and a 100 day mega mustang challenge mustangs that get auctioned to the public the day of the freestyles and placing. ​In the August Issue (Persistence and Faith) was the beginning of a journey with my mustang, Neeheewanna. Our journey was filled with ups and downs; trials and tribulations. I was determined to not give up on this horse. I was determined to not give up on myself. As I have said before, I am not a strong rider. I absolutely love to ride! Years ago, I had a fairly bad accident which the result (besides bruised and strained muscles and nerves) was anxiety. 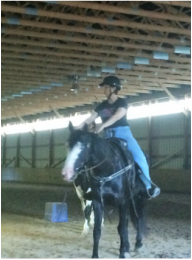 Not just getting a little nervous about getting back in the saddle days … weeks … or months afterwards. I am talking full blown anxiety attacks which now, almost 9 years later, still haunt me and I am still learning to overcome. Bucky has been fantastic about helping me with this curse. Patience, understanding, riding my horse before I get on, ponying me in circles until I could breathe, checking while we ride to make sure I am okay. Even with Wakan, my mustang that children were safely riding, it didn’t matter. Anxiety doesn’t care who you are, what you are doing, how long it’s in your life. You have to be determined to find a way that works for you to overcome it. I tried hypnosis, to no avail. I meditate, use aromatherapy, yoga, prayer. While all of these are a daily part of my life, I had to dig deep and remind myself of the love I have for riding and how amazing it makes me feel. Riding used to be my therapy before the accident; now it seemed I needed therapy to enjoy riding again. Neeheewanna didn’t do much for my confidence level, or my anxiety with her bucking issues. I refused to give up on this horse. I was going to ride her; I was going to ride her safely. We were going to be partners. 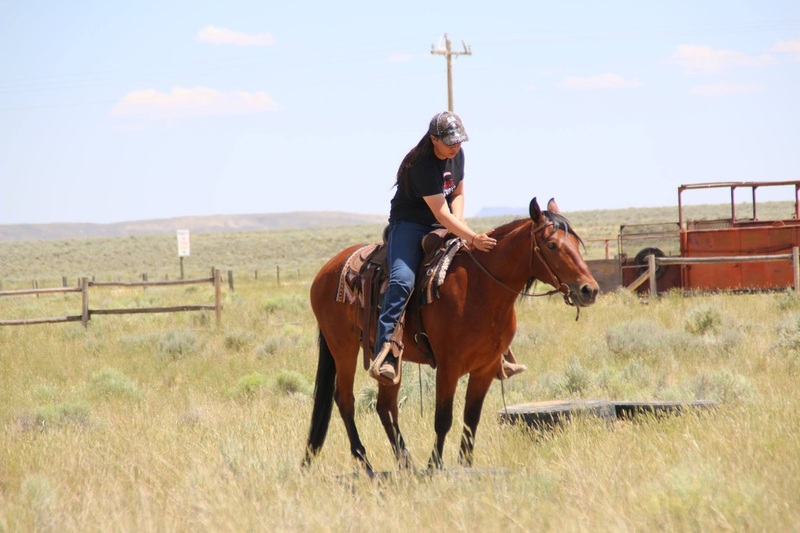 Emma Minteer (Rose Hill Ranch – January Issue) worked with me, while Wakan and Neehee were in training, initially on gaining the guts to get back in the saddle; Buck was with me every step of the way as my cheering team. Emma was aware of my goal to ride again and enjoy it completely. She also was empathetic to my plight. Every time we would go to Rose Hill Ranch to check on the mustangs’ progress, we would have a training session. Jack and Emma would teach us what they were teaching the mustangs so we could continue with training them when we took them home. Little by little I gained my nerve to put a foot in the stirrup. BREATHE! Who ever thought you would need to remind yourself to breathe?! I need to do it a lot! I made it to sitting in the saddle while Emma held the horse I was “riding”. Her mustang, Chinks, became my safety net. I rode him first. I took the reins and walked baby steps in the arena, breathing…breathing… only positive thoughts. The four of us, Jack, Emma, Buck and myself made it out on a trail ride. Each time we went, baby steps to gain more confidence and become less anxious. This was in 2012. Buck 'n' Mule Farm in 2008. ​ She was a one year old filly. ​Year after year, Wakan and Bucky have worked with me to become a more confident rider. I have worked very hard on controlling my anxiety. Both are a daily vigilance. As I have spent years looking at photos and videos of other people riding with beautiful connections with their horses…deep inside my gut I strive for that too. Then the creeping doubt of a silly dream…at my age, with my experience, with my skills…that could never be. But in my soul, I refuse to truly believe that. I never gave up on Neehee being a horse that I could ride safely. From the day she chose me, I never let go of that dream. Maybe it was starry eyed, but I never let go of it. I am thrilled that I never did. This summer with continuing her training in reining and cow work, and my taking lessons on her, I believe in the two of us together. For the first time in my life, I was able to get her collected while riding and I felt like a super star. I may never be a blue ribbon winner at a fancy show, but I don’t care. I will be a champion with my mustang, Neeheewanna, riding together in whatever we decide to do. A partnership that did not come easy. A partnership based on belief…belief in her, belief in me and belief in us together. I don’t know if I will ever eliminate the anxiety from my life. I do know that I will not succumb to it or let it rob me of what I love and what is important to me. I also know that I believed in my horse and I did not give up on her. We worked together with our trainers to keep trying different things until we found what worked. I can honestly say that my excitement for riding now overshadows the anxiety. It has been too long since I have felt that way. My dreams of what Neeheewanna and I can achieve are not only revived, but filled with positive energy and greatness. ​Life is always going to throw things at you. It is how you deal with them, that is important. If you get off track, gather yourself back up again, take a deep breath, have faith and take a new step on your journey. Always stay true to yourself, never forget what is important in your life, always be thankful for the blessings bestowed upon you every day. 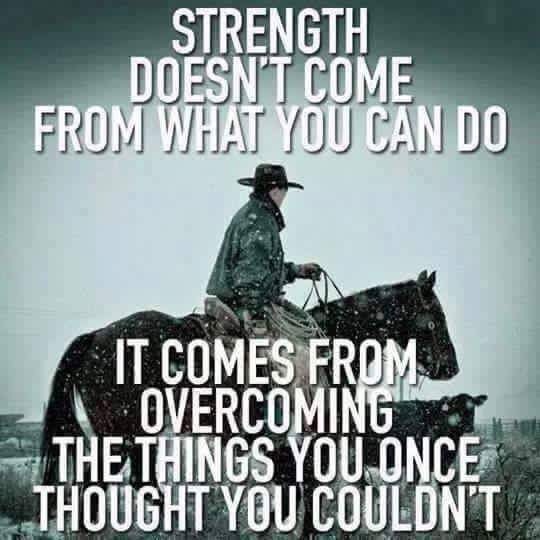 When life ever got tough and I was at a loss for which way to turn, Mumsy would always say, “Go ride your horse!” Who knew it would be true to overcoming my life’s obstacles, helping me to regain my strength, and ultimately fulfilling my dreams. I continue to work with Neeheewanna and take lessons on her. We continue to grow together. More updates will follow in upcoming issues about our journey together. 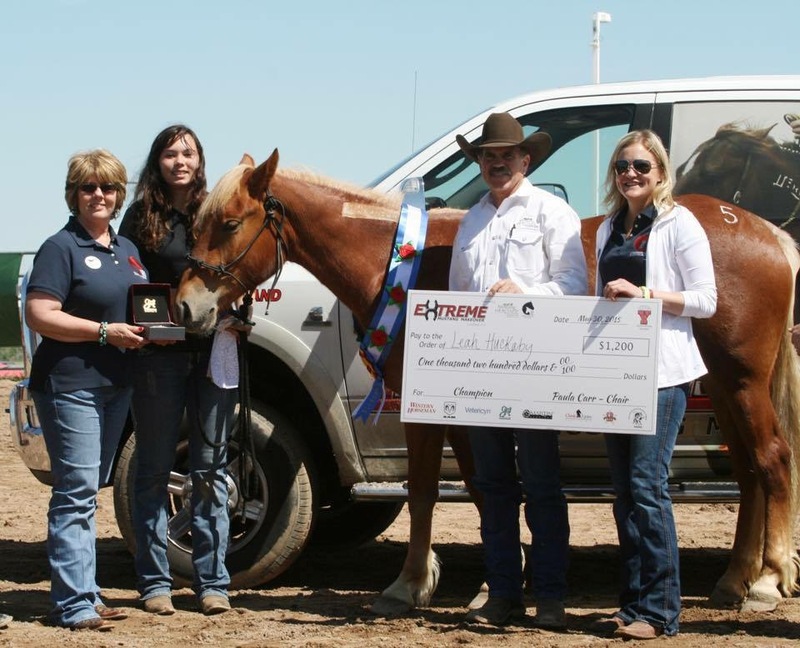 ​Julie Goodnight is the popular RFD-TV host of Horse Master airing Monday nights. 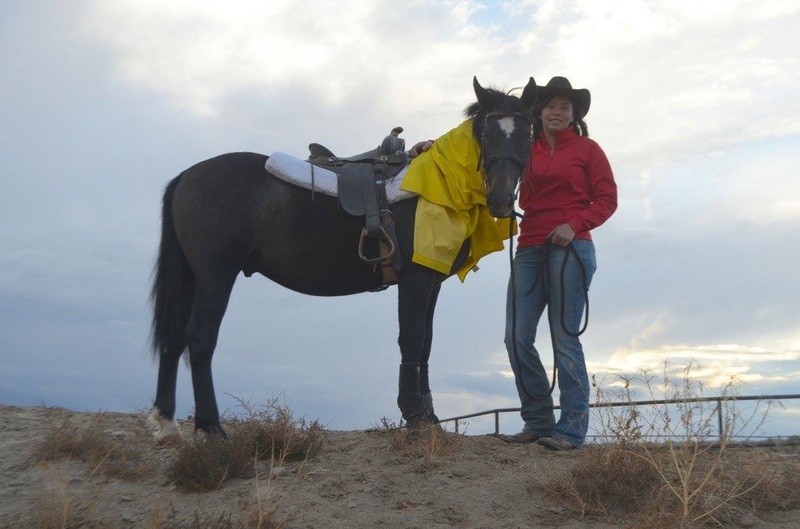 Julie travels the USA sharing her no-nonsense horsemanship training with riders of all disciplines. Whether you ride English, Western, dressage or trail ride, Julie’s teaching helps you feel more confident in the saddle and helps you understand the “whys” of horsemanship. You’ll get horse training help, when you need it. 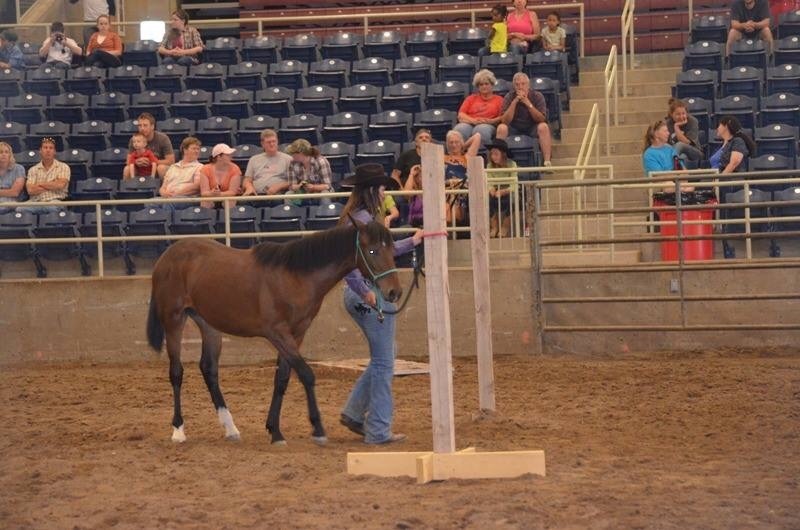 She loves continually learning and sharing horse behavior insights and she relates that knowledge to how you should interact with your horses. 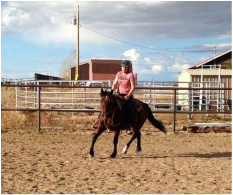 She’s experienced in dressage and jumping, racing, reining, cow horse, colt-starting, and wilderness riding. You’ve probably seen her regular series in Horse Illustrated, The Trail Rider and many other horse publications. Julie is honored to be the International Spokesperson for the Certified Horsemanship Association and was named Equine Affaire’s Exceptional Equestrian Educator. Confidence is tough to regain after a fall. It’s much easier to work through your fears when you trust the horse you ride when your fears are still actively surfacing. Make sure that the horse you choose to ride is an important part of your comeback strategy. I hear the worry at every clinic I do. Clinic riders tell me, “I used to ride like the wind, and now I feel sick to my stomach when I even think about getting on my horse. I just wish I could enjoy riding again.” Fear has taken away their enjoyment of horses and riding. It’s a terrible place to be—with the sickening feeling of having lost something you once loved. Don’t give up! With a plan in place—and the right horse to help you—you can get back in control of your emotions and ride like the wind again. You must have a horse you can trust to guide you through your recovery. After an incident or injury with horses, it’s normal to have some trepidation. When you put yourself in a similar circumstance as the one that caused your accident, you’re likely to relive the fear. When we humans sustain an injury (a mental injury, a physical injury, or both), a “fear memory” is formed in the brain, and its sole purpose is to try and subconsciously dissuade you from doing that thing again. It’s a built-in self-protection mechanism. Often, you think you are “over” the fear but then when you find yourself in the same situation that caused the accident, out of the blue, the panic appears. As time goes by, you begin to dread riding, knowing that this fear will surface and attack at the most inconvenient time. Soon you’re making up excuses for not riding—which you know in your heart is avoidance behavior—so then you start feeling guilty. Eventually, the all-consuming emotion of grief kicks in, because you feel like you’ve lost the ability to ride a horse—that you’ve lost something you loved. It is a downward spiral of conflicting emotions—fear, guilt, frustration, and grief. That’s a lot of negative emotion associated with horses to be rolling around in your head. If any part of this scenario rings true for you, it may be time to take action and get those negative emotions in check. Your love of horses and your ability to ride is still there, ready to be unleashed, once you rein in those negative emotions and take positive steps in the right direction. Many riders have regained their confidence and returned to the sport they loved by using relaxation strategies (visit JulieGoodnight.com/search and use keyword confidence). Before rebuilding your confidence, it’s important that you give yourself all the time you need to heal, both physically and emotionally from your accident. Do not rush this process and do not allow yourself to be pressured by others; it could take some time before you are ready to make the commitment and muster the courage to ride again. ​Before coming back to riding, make sure you understand your emotions. I like to call this intellectualizing or objectifying the fear. Knowing the origins of your fears, when to expect fear memories and how to override them, and how fear affects you and how to countermand those effects is critical to your success. No matter how you lost your confidence, to rebuild it securely you need a horse that can help you. The horse is such a critical component in regaining your confidence—for better or for worse—the horse can either build your confidence or take it away in a heartbeat. This may mean that your current horse (or the horse you got hurt on) is not appropriate. In order for the healing to begin, first the injury has to stop. A horse that scares you or challenges you on a daily basis, will constantly reopen the wound and cause it to fester. Think about your horse—does he need to get his confidence from you, or is it the other way around? To overcome your fear, you may need a horse that gives to the equation, not subtracts. These are not easy questions to ask. Sometimes the answers are painful to accept and challenging to pull off, but riding a safe and trustworthy horse gives you the greatest chances of success when it comes to regaining confidence lost. That may mean re-homing or selling your current mount (he may be happier with a more suitable rider) and finding a horse that realistically meets your needs (preferably one that oozes confidence and has a been-there-done-that attitude-- because he has). Or maybe you temporarily lease an ‘easy’ horse and send your challenging horse to a trainer. Don’t let the task be too daunting—analyze, consider all the options, make a plan, and move forward. 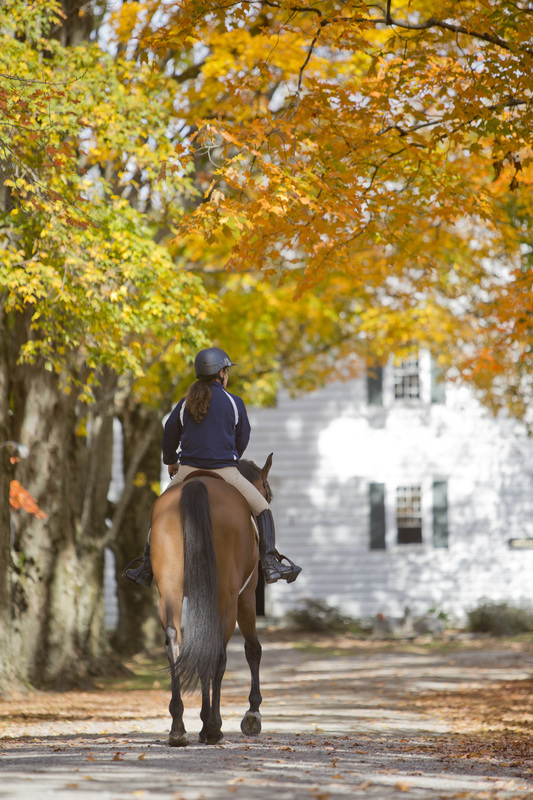 Be realistic with your riding goals and the type of horse that will best suit your needs. Your fitness and ability level, plus the time commitment you will make on a daily and weekly basis all have a huge bearing on the kind of horse that will work best for you. Your horsemanship goals and your needs in a horse will change over time, as you gain experience, skills and knowledge—and dabble in different disciplines. Sometimes I meet people in my clinics that are riding a horse that I wouldn’t feel comfortable riding (after more than 30 years of riding professionally). Sometimes I wonder if they really know how much fun it is to ride a horse you are not afraid of. Although I’ve trained horses professionally for more than three decades, what I personally want in a horse is a well-trained, safe mount that I can have fun on from day one. I don’t have time for a project. Realistically, I know I have limited time to enjoy my horses, and selfishly, I want a horse that I can have the best ride of my life on every day I ride—even if I haven’t ridden him in weeks (which often happens). Life’s too short and I love riding so much—I want every ride on my horse to be safe, fun and carefree. Finding the right equine partner isn’t an easy job, but it is an important one. Take your time, be smart and objective and seek professional advice. Remember, you didn’t get into horses to create more stress and aggravation in your life. Finding the right horse—one that builds your confidence instead of taking it away—is a huge part of the equation. Regaining your confidence after an accident is not an easy task but with some work and dedication. I know it can be done—I’ve seen it happen again and again. But you cannot shirk the hard questions and you cannot move forward without a plan. Do the introspection needed to get your head in the right place and make a plan to expand your comfort zone (for details on how to do this, check out my online resources). Then take an honest look at your horse. Determine if he is the right mount for you at this time in your life, and how you can put together a plan that will ensure you the greatest success in this challenge.